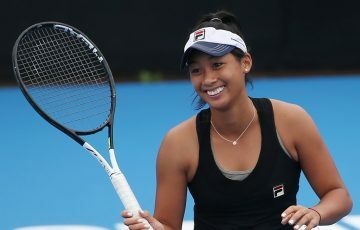 Queensland teenager Lizette Cabrera has reached the semifinals in Tweed Heads, where she has been joined by Olivia Rogowska and Destanee Aiava. 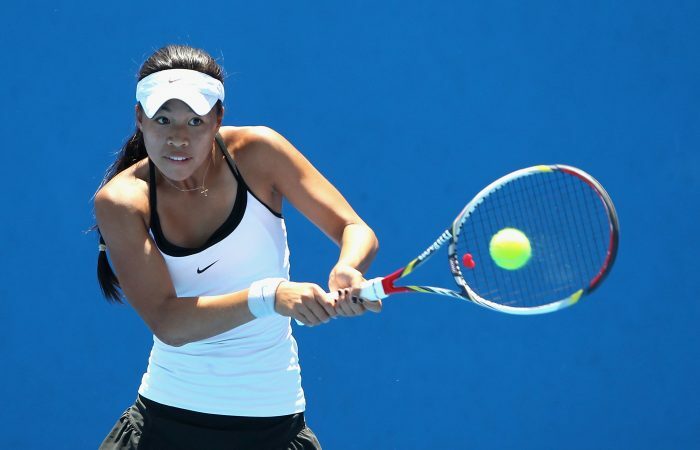 It was smooth sailing for Queensland teen Lizette Cabrera on Friday as she moved into the semifinals at the Tweed Coast Tennis International. With a rain delay earlier in the week forcing two rounds to be played out, the 18-year-old from Townsville managed to stay on top all day, first upsetting third-seeded Brit Katy Dunne 7-6(6) 6-3 before running over qualifier Angelique Svinos 6-1 6-3. “I was really happy with my match this morning,” Cabrera said. “I actually played Katy here last year and lost, so a bit of revenge. 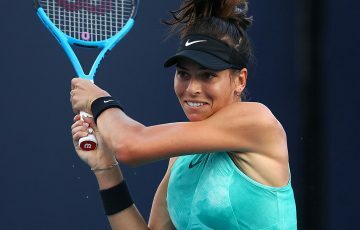 Cabrera is arguably in career-best form at the moment – this is her second consecutive $25,000 ITF tournament semifinal appearance after a solid run in Gatineau just last month. “I’ve been training really hard,” she said. “I just got back from a good trip to the US and Canada where I built momentum with a lot of matches. I’m playing the way I’ve been training, I’m trusting my game and it’s paying off. 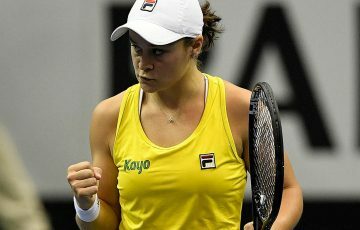 Cabrera now faces a rampaging Olivia Rogowska, who has notched up a clean set in each of her matches so far this week, taking less than an hour to dispatch Abbey Myers 6-0 6-1 – an earlier winner over second seed and local favourite Priscilla Hon – in a lopsided quarterfinal affair. Those score lines won’t phase Cabrera though, who defeated Rogowska in their quarterfinal in Gatineau. “I’m excited to play her again,” she said. 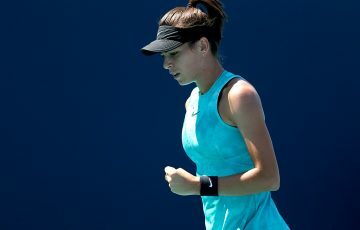 Meanwhile, top seed Jennifer Elie had not been troubled on the Tweed Coast as far as the quarterfinals, but her mettle was then tested against Slovakian Tereza Mihalikova, where she needed to survive a deciding set tiebreaker. The American will again have some work to do in getting past unseeded 16-year-old Destanee Aiava if she is to reach the final. Aiava, from Melbourne, looks to be in some stellar form after she saw off qualifier Viktorija Rajicic 6-2 6-2 in their quarterfinal. Rajicic had previously bundled out fourth seed Alison Bai. Live scores of all Australian Pro Tour events are available through www.tennis.com.au/protour/scores and for a live stream of selected events visit www.tennis.com.au/protour.